Supporting teachers is an amazing experience. 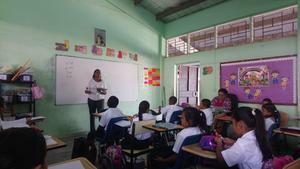 At Manuel Espinosa Batista Elementary School, the teachers were visited for the first time. 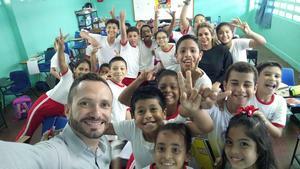 They demonstrated to have passion to teach English to their students. When the observations finished, there was a meeting with the English Department in order to review some methodologies and strategies to improve the teaching sessions, as well as exchanging ideas about the previous practices. 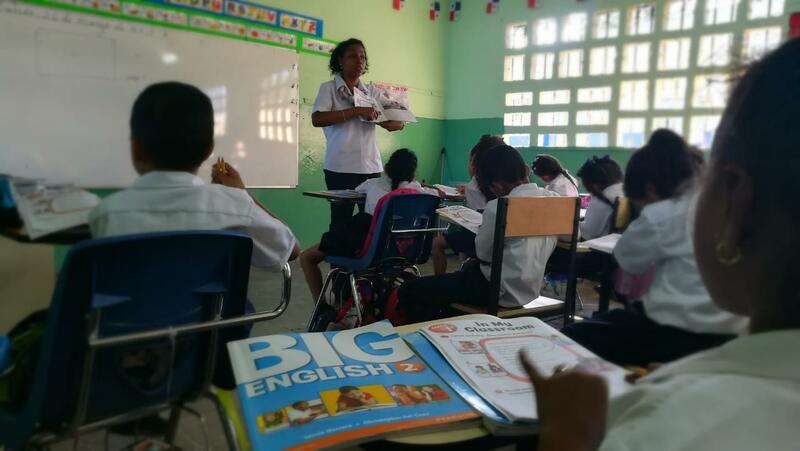 During the second week of April we finish the delivery of resources to all our schools in Chiriqui. Some Schools are starting their unit projects. Jose Maria Roy, Santiago Bolanos, Victoriano Lorenzo among some of them. We saw some great classes from our great teachers and students. Motivation is the key! Books are ready to start using (student book and text book). Students are now ready to do a good job as usual during this year. Keep that good work up guys!!! 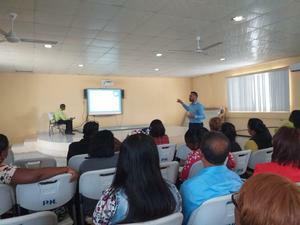 Last April 8 Science teachers from Colon received their first training about Usage of Resources and Planning. More than 80 teachers participated in this training sesisson and received the resources to give their classes as best as possible. The consultancy support is not only about telling teachers how to use the resources they are given and how to plan, but also modeling the way students should be approached according to their age. This is a great moment to let teachers observe the techniques used when we want the students to be active learners. Taking into consideration what children know and like is the key point. At this time, technology and of course, video games, played a very important role in order to have the students' complete attention. 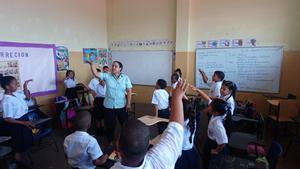 The Teacher Pamela Gonzalez has students with a lot of potential in the third grade. Those children are ready and willing to use their language skills with the world. Helping teachers to develop his lessons is a very rewarding labor. 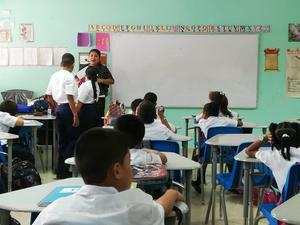 At Dr. Belisario Porras Elementary School, new teachers have received the support from the consultancy team, this way teachers find it interesting and they can feel ready to work with children and the BIG series. 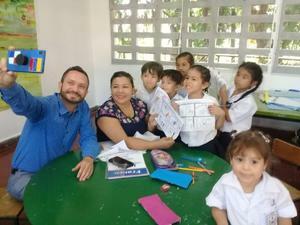 The consultancy support the teachers receive before, during and after their instruction is really helpful, even more when the teachers do not have any experience. The teachers have received the instruction from the consultant, who shared with them the information regarding the planning process, use of resources and the 5E Methodology for Science teaching or the 5 steps for BIG English.